An estimated 11 million immigrants live in the United States illegally, and on the first day of its new term, the U.S. Supreme Court dealt yet another setback to the Obama Administration’s executive actions on immigration. The Court denied the Administration’s request for a rehearing on its deferred action programs for undocumented immigrants. The denial comes months after the Supreme Court justices split 4-4 over the expansion of the Deferred Action for Childhood Arrivals (DACA) and creation of the Deferred Action for Parents of Americans and Lawful Permanent Residents (DAPA) programs. This decision means that millions of undocumented immigrants will continue to be without legal work authorization in the United States or protection from deportation. Obama’s plan was designed to let roughly 4 million people – those who have lived illegally in the United States at least since 2010, have no criminal record and have children who are U.S. citizens or lawful permanent residents – get into a program that shields them from deportation and supplies work permits. The administration in July asked the court to take a second look at the case once it had a full complement of nine justices. The death of Justice Antonin Scalia in February left the Court without a ninth justice. The fate of the programs may be up to the next president. Hillary Clinton supports the Obama Administration’s executive actions, while Donald Trump does not and has said he would end all of President Obama’s executive actions on immigration. It’s unclear whether Senate Republicans might reevaluate their position regarding the blockade of Obama’s nomination of a ninth justice, following the election on Nov. 8. In any case, Buda Law Group will be closely watching and providing any updates regarding recent changes to immigration policies and more. On July 11, 2016, the Department of State (DOS) issued a visa bulleting which threatens the status quo for Chinese born foreign nationals. The Visa bulleting was relating to the Employment-Based First Preference Category (EB-1) visa, retrogressing it for the first time in nearly a decade. The EB-1 category applies to individuals of extraordinary ability, outstanding professors or researchers, and multinational executives and managers. Retrogression means slowing down the “priority date” used by the DOS to determine when an immigrant visa will be made available to the alien. Prior to this Visa bulletin, the priority date for Chinese nationals under the EB-1 category was current since October, 2007. What that means was that foreign nationals that were qualified under the visa were allowed to simultaneously and immediately apply for their visa and adjust their status. The visa bulletin has changed this date to January 01, 2010 for nationals of China (and India). Unfortunately, what this announcement means for the thousands of EB-1 applicants is that if they did not submit their EB-1 immigration petitions before 2010, USCIS will not accept their adjustment of status applications under the backlog, or waiting list, is cleared. The implications of these changes are that if an adjustment of status application is received by the USCIS before the end of July 2016, the application will be current and it will be accepted for processing. 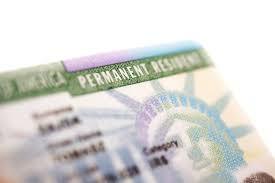 However, this is one major positive takeaway from all of this: Applicants from China and India can look forward to October 1, 2016, when the new annually allotted green cards under the EB-1 category will be issued, which the August 2016 visa bulletin announced that the categories will once again become current. In summary, EB-1 retrogression for Chinese foreign nationals may indicate a distressing trend: that the visa category which was once considered the fastest way to an employment based green card, may now be slowing down to match existing backlogs in other visa categories. For instance, the EB-2 visa category for China in the past few years has been heavily backlogged, so many applicants chose the EB-1 route for a quicker means towards lawful permanent residence. The United States needs to understand that by enabling the most talented and gifted individuals in the world to come to and work in the United States, the positive impact on society, both economically and culturally, is immeasurably positive. Therefore, let’s stay optimistic that the announced October 2016 date will place EB-1 visas back onto current status, so that the world’s best can continue to apply and move their talents to the United States. The team here at Buda Law Group knows that the retrogression changes announced to begin in August will majorly impact many families in the United States. We are ready to deal and adjust to any changes of this magnitude that come about, and feel that we are the best in the industry to achieve the best possible results. Please feel free to contact us if you have any questions or concerns regarding the announced EB-1 retrogression, or any immigration issue and they will be gladly answered. Pascrell and Rohrabacher had introduced a similar version of this bill in 2010, which could not gain enough support in the Congress. The lawmakers said the H-1B and L-1 Visa Reform Act of 2016 would close loopholes in the H-1B and L-1 visa programs, reduce fraud and abuse, provide protections for American workers and visa holders, require more transparency in the recruitment of foreign workers, and increase penalties on those who violate the law. Buda Law Group understands that the revenue model of the majority of big IT companies is heavily dependent on H-1B and L1 visas in the US. Thus, such a bill is likely to have a major impact on many businesses that employ using the H1B or L1 work visas. Buda Law Group urges parties who are considering H-1B and L1 visas to call us with any questions, especially if they are applying for companies that have a large number of employees. Donald J. Trump’s vow to restore what he says is America’s lost luster comes with campaign promises that are equally grandiose. But Donald Trump, the nearly official Republican nominee, has provided limited details on how he might make good on his promises to build a “Great Wall” separating Mexico and the United States to clamp down on issues with illegal immigration. Central to Mr. Trump’s campaign, is using a vast deportation “force” to relocate people to the other side of a wall, funded by Mexico, that would stretch nearly the length of the southern border. However, experts across many fields who have analyzed his plans so far warn that they would come at astronomical costs — whoever paid — and would in many ways defy the logic of science, engineering and law. Donald Trump has a simple plan to reduce the population of 11 million immigrants living illegally in the United States, and it is to deport them. Trump says he would follow the example of the military-style roundups authorized by President Dwight D. Eisenhower in 1954. Michael Chertoff, the secretary of homeland security under President George Bush states, “I can’t even begin to picture how we would deport 11 million people in a few years where we don’t have a police state, where the police can’t break down your door at will and take you away without a warrant.” Furthermore, about 15 thousand new ICE agents would need to be trained and hired, as well as hundreds of brand new judges for emergency hearings to help with the current immigration backlogs that exist in the United States’ legal system. The next issue would be the feasibility of the wall itself. The most common benchmark used for assessing Mr. Trump’s wall is the fencing that already exists at the border. In 2006, the Bush administration signed the Secure Fence Act, and $2.4 billion was spent to construct 670 miles of fencing. Mr. Trump plans on building 1000 miles of concrete wall along the southern border between Mexico and the U.S. A wall would be even more complicated, requiring redirection of water so that concrete could be mixed on location. Furthermore, setting aside the need for congressional approval and a likely fight with Mexico over financing, many who study borders doubt that a mass of concrete would accomplish its purpose. To complete this analysis, we need to draw from the experiences and culture of our ancestors – from the ancient Great Wall of China to Israel’s modern security wall in Gaza, walls rarely prove totally impervious to people set on breaking their physical and symbolic barriers. Walls tend to be crude solutions to complex problems, so we as Americans need to come together to figure out more cost efficient and socially acceptable solutions. The team here at Buda Law Group knows that many changes lie ahead for families in the United States with immigration issues. We are ready to deal and adjust to any political and legal changes that come about from this election. Please feel free to contact us if you have any questions or concerns regarding any immigration issue, and they will be gladly answered. Now that the EB-5 program has been renewed in the United States, the issue appears to be what changes Congress intends to implement to the program. Today the EB-5 investment program has evolved into a full-fledged industry that revolves around the $500,000 figure, and yet still brings billions of dollars in foreign investment into the United States. Whether the TEA’s $500,000 minimum investment amount will be raised to the proposed $800,000 amount or eliminated entirely are concerns for all within this industry. The TEA investment amount of $500,000 was set more than two decades ago. When adjusted based on the Consumer Price Index, 1990’s $500,000 has the purchasing power of only $275,235 in today’s dollars. In comparison to other immigrant investor programs, the United States’ EB-5 investment program requires the least amount of investor capital. The basic requirements of the EB-5 program – to create jobs and stimulate the economy — distinguish it from the other investment programs. In addition, while some argue that investing $500,000 in an entrepreneurial stand-alone project is unlikely to sustain a viable business creating 10 permanent jobs, the same amount pooled, either in a direct pooled or a regional center project certainly has proven success. EB-5 attorneys, agents, brokers, and practitioners all agree that by raising the minimum investment amount, many investors are going to be priced out of the market, especially considering the “at risk” element of the EB-5 program, making the United States less attractive to potential investors. The $500,000 benchmark undoubtedly brings a higher volume of investors into the United States. The majority of investors infuse further bouts of fresh capital into the American economy by purchasing real estate, engaging professionals, paying taxes on their global income, paying for education, and making alternative investments into the stock market, as well as expanding their overseas businesses in the United States. In 2010, new immigrant business owners had a total net business income of $121.2 billion, which is 15 percent of all net business income in the country! Furthermore, once the initial investment capital of $500,000 is returned, there is a far higher likelihood that this capital would be reinvested in the United States rather than being returned to the country of origin. Annually, the EB-5 Program accounts for less than 1% of the visas issued by the U.S. Thus, a reduction of the number of foreign investors in the EB-5 category is not in America’s best interest. Before the minimum amount is drastically increased, Congress must ensure that the overall domino effect on economic growth is assessed. In conclusion, if Congress decides to either raise the minimum investment figure to acclimate with the Consumer Price Index or remove the TEA designation entirely, thereby raising the EB-5 investment capital amount to $800,000 or more, the change would make the EB-5 program unattractive in comparison to its international competitors, who may just prefer to spend a higher amount that is guaranteed as opposed to being at risk. The United States should not limit the number of potential investors it can attract to the EB-5 program. With over $20 billion at stake and thousands of jobs being created every year, the EB-5 program will continue to thrive as long as Congress does not stifle its growth. Buda Law Group urges parties who are considering EB-5 visas to call us with any questions.